The long-awaited Google Drive is finally here. The new product, launching today and available at drive.google.com, offers users 5 GB of file storage and syncing and effectively replaces Google Docs (which has offered file storage for a couple of years.) Google Drive also replaces the editing, file-creation and file-sharing features of Google Docs. There’s been plenty of ink spilled already on the news, and lots of coverage about how Google Docs stacks up against some of the other cloud storage options available. (See: Engadget for a feature and price comparison among Google Drive, Dropbox, Skydrive and iCloud). At the end of the day, which one you choose is probably dependent on how you work and who you’re sharing with. But for schools that are Google Apps for Education (and Chromebooks) customers, it’s likely they’ll take advantage of this tool as opposed to one of the alternatives. (The transformation of Google Docs into Google Drive makes us de facto users after all). 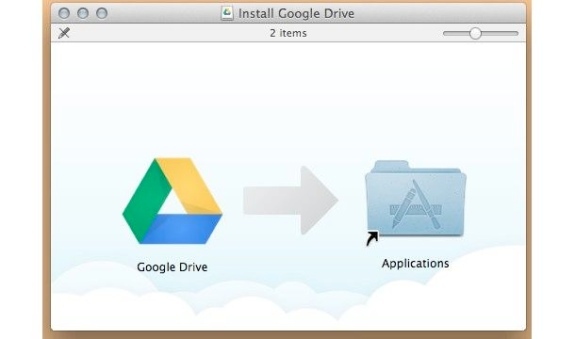 How Will Google Drive Work for Apps for Education Users? In a nutshell: it’ll work the same as Google Docs. Although Google Apps users don’t always get new features on release-day, Google Drive is rolling out to Apps for Education customers today (provided their administrator has them set up for “rapid release” of new features, that is. Those with the “scheduled release” will have to wait a couple of weeks, as is standard.) The amount of storage space will be the same as other users, but currently only Google Apps for Business accounts can purchase more storage. Google says that the ability for Google Apps for Education users to buy more is coming in the next few weeks (as is an iOS native app). The functionality of Google Drive under an Apps account will work just like it did with Google Docs, with administrators being able to manage the files and control the roles therein. Following the update to Google’s Terms of Services earlier this year, there have been some concerns (and lots of FUD) about privacy and Google products (the company now shares user data across the various Google products you use – YouTube, Gmail, Google Docs, and so on – ostensibly to deliver “better services” but to also deliver more targeted ads.) While there aren’t ads in Google Apps for Education, THE Journal penned an article questioning whether or not students’ privacy was really being protected. And no surprise, there are several blog posts today already challenging some of the verbiage in the Google Drive TOS. (For what it’s worth, Dropbox has had its own issues with privacy , security and its Terms of Service.) Google insists it gives users control over their own data, making it possible, for example, to pull it out or delete it should you decide that the cloud is not for you. What’s new is the integration with several third-party app developers – 18 at launch – and thanks to the release of an SDK (Software Development Kit), we’ll likely see more companies integrate their products in the coming weeks. While Dropbox also has APIs that extend its functionality to other apps, there’s something that Google Apps for Education has that Dropbox doesn’t, something that’ll make building for Google Drive pretty compelling for ed-tech companies: 14 million teacher and student users. 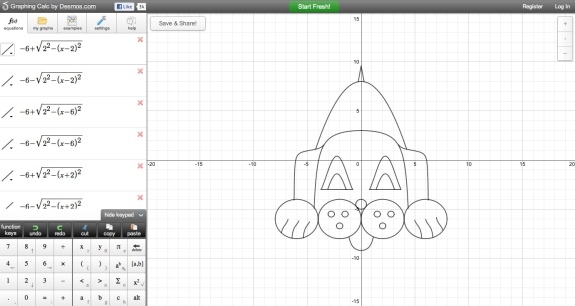 With the launch today, there’s just one app today, from what I can tell, that’s specifically educational: the free graphing calculator Desmos. The startup, which I chose as one of the best ed-tech startups of 2011, says that “our launch with Google Drive is a watershed moment, and the culmination of months of effort toward a shared vision – software that is inherently social and not tied to any device.” With its Google Drive integration, users can store and share their calculations with others – awesome for math homework, sure, but even more awesome for math artistry.